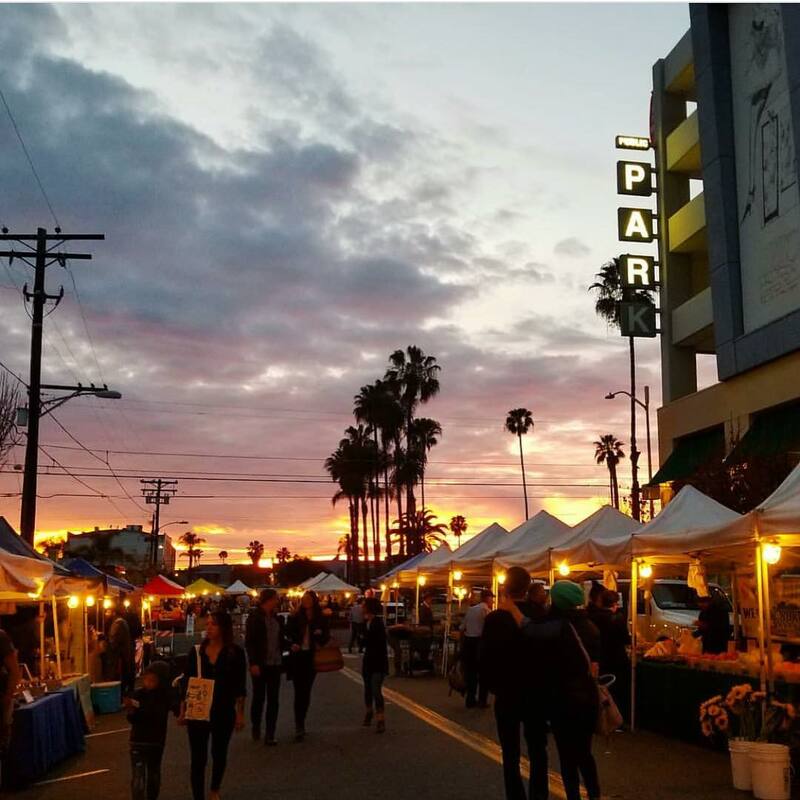 North Park Main Street proudly presents the weekly North Park Thursday Market! 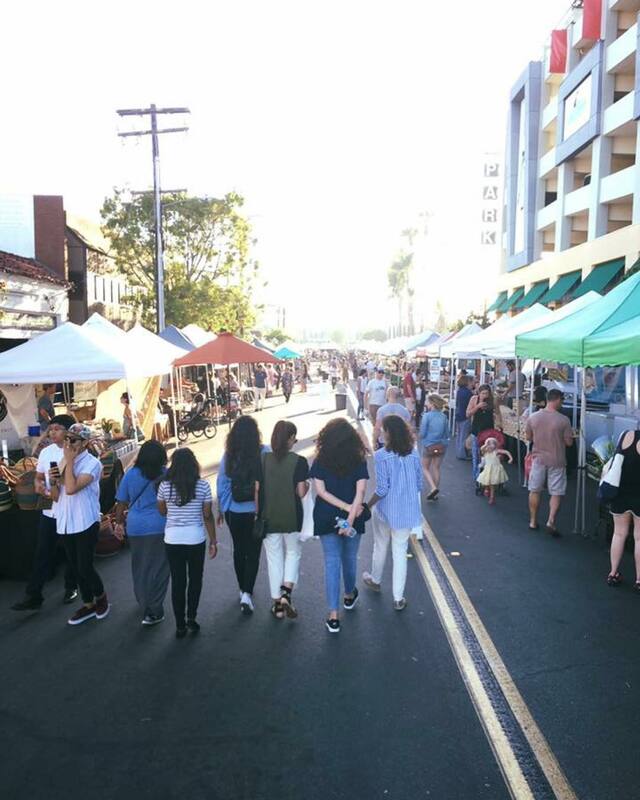 Join us every Thursday, year-round, from 3pm – 7:30 p.m. on three blocks of North Park Way, from 30th Street to Utah, for your neighborhood’s Certified Farmers’ Market and more! 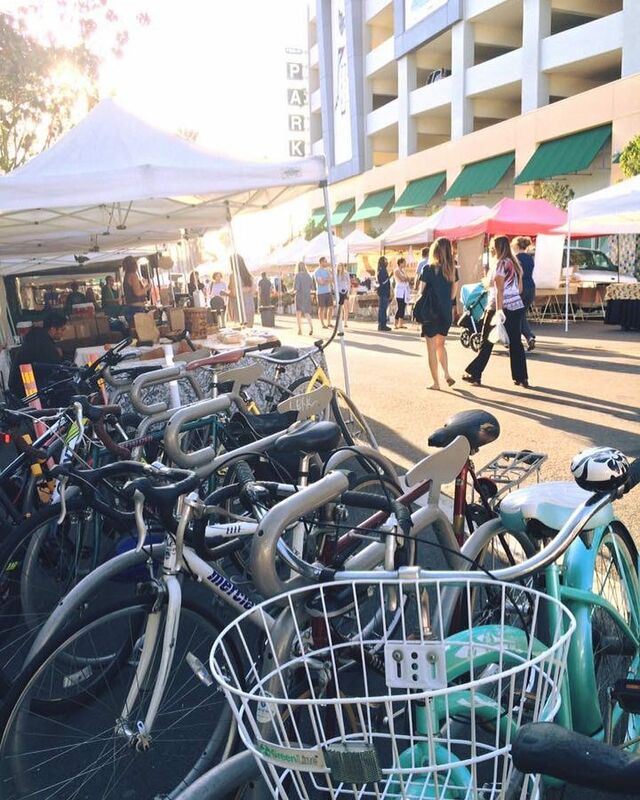 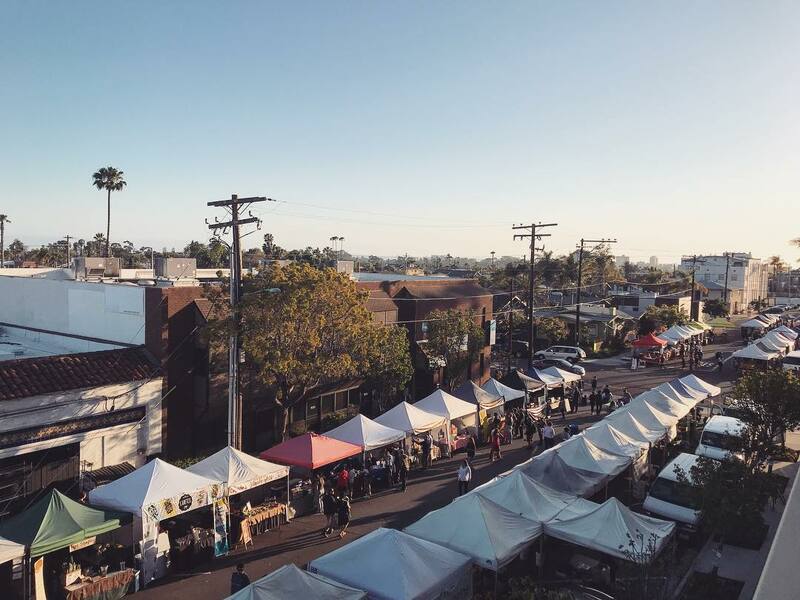 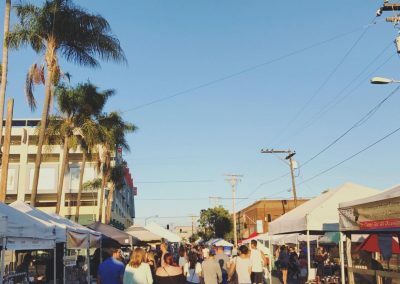 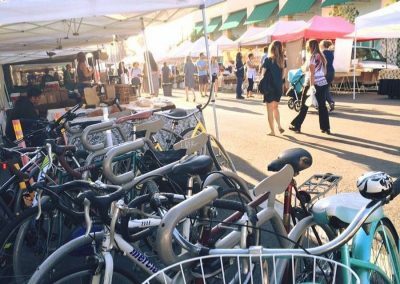 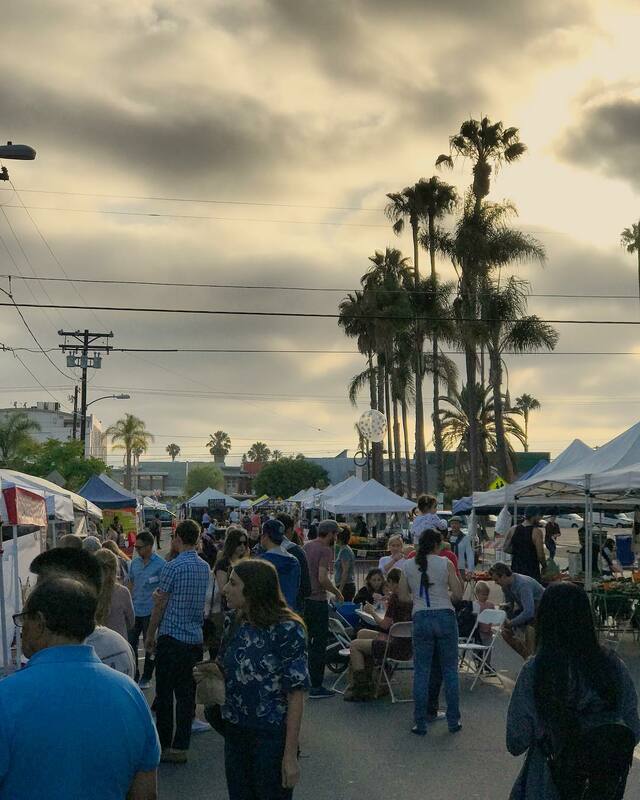 The North Park Thursday Market is located in a neighborhood shopping district, and convenient parking is available! 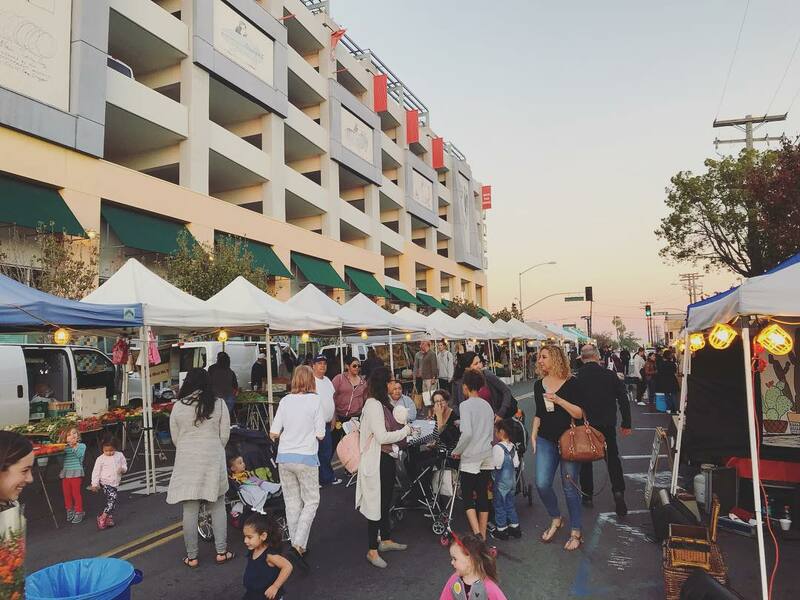 In addition to street parking nearby, there is a large parking garage directly adjacent the market. 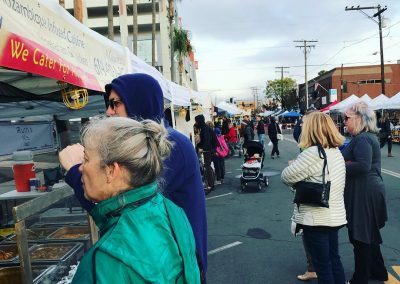 The garage is located at the intersection of 29th Street and North Park Way; rates are just $1 an hour and never more than $5 a day/night. 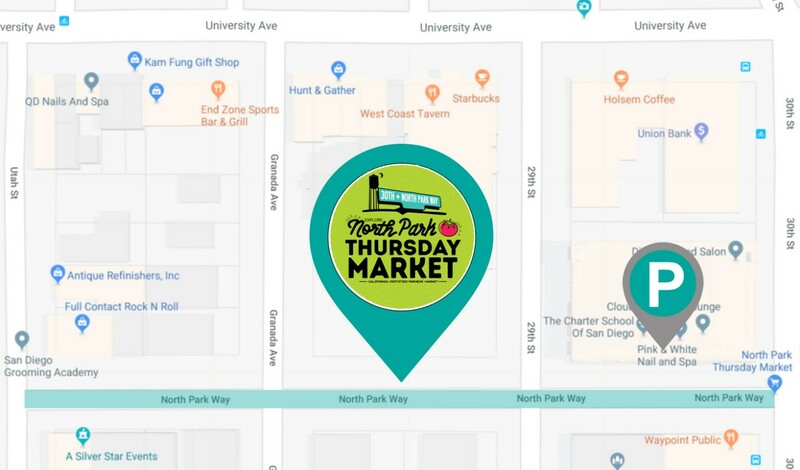 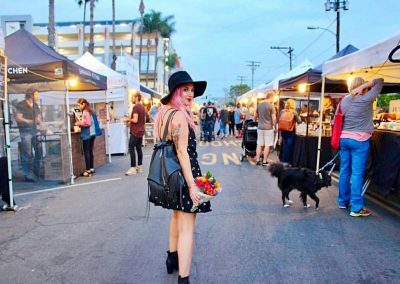 It’s easy to get to the North Park Thursday Market! 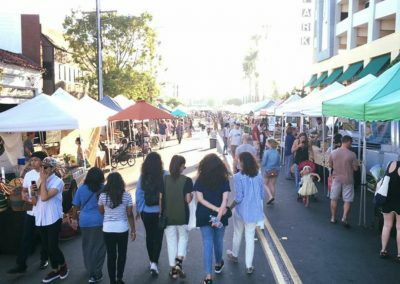 West on University Ave to 3oth Street, turn Left. 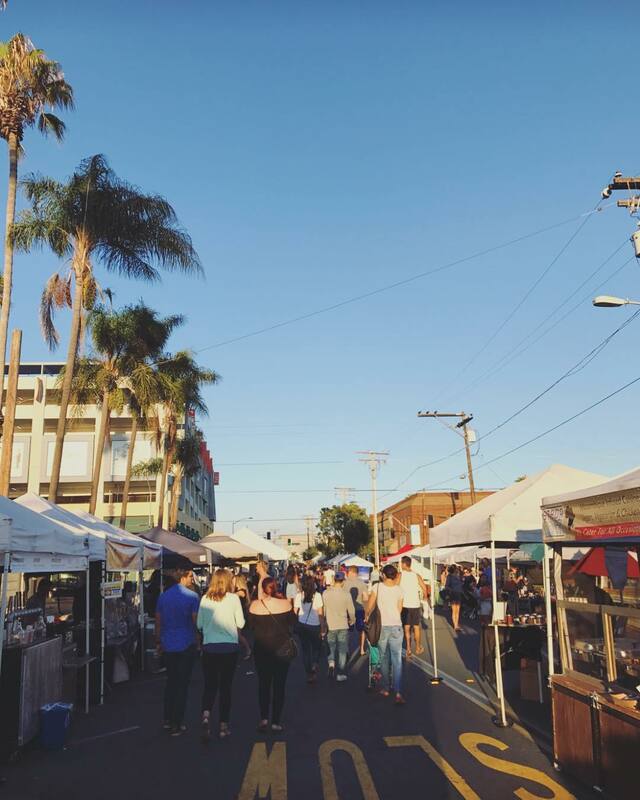 North Park Way is one block south of University. 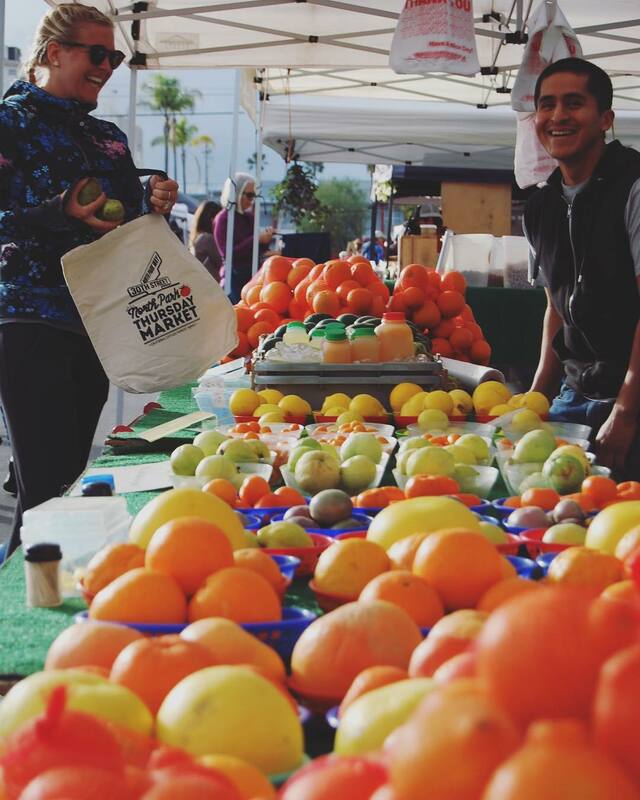 Open from 3 pm every Thursday, year-round, rain or shine! 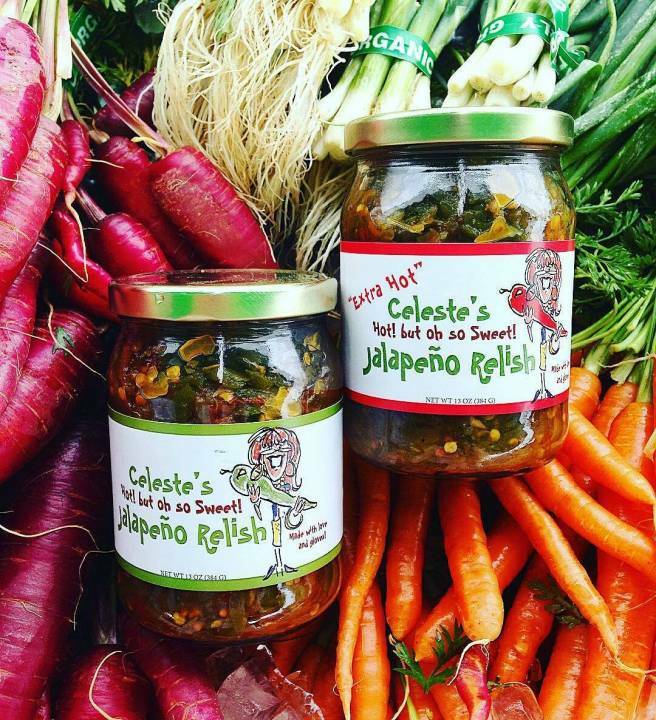 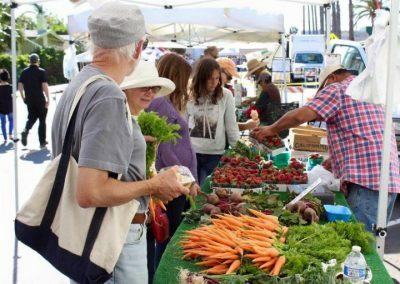 Shop some 80 booths offering local farm-fresh produce, eggs, meat and plants, artisan food from pastry to sea salts and shellfish, honest prepared foods and select gifts and specialties. 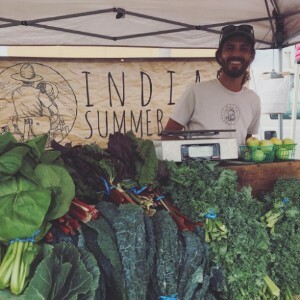 New farmers and vendors added regularly! 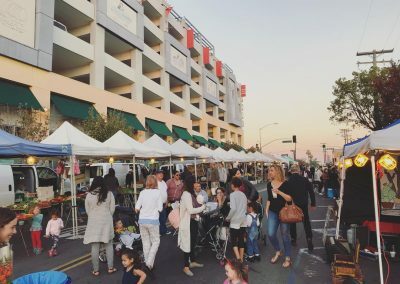 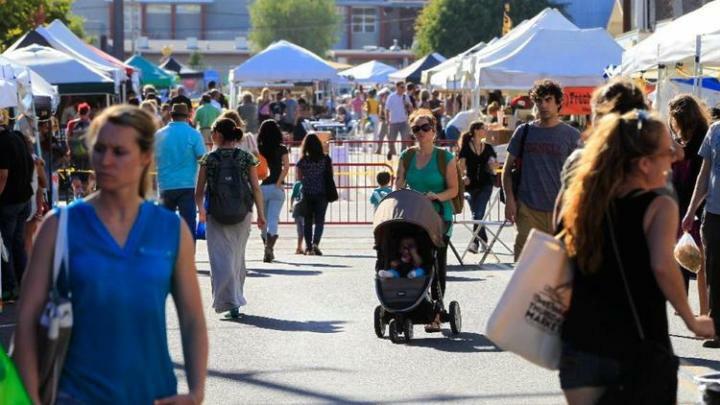 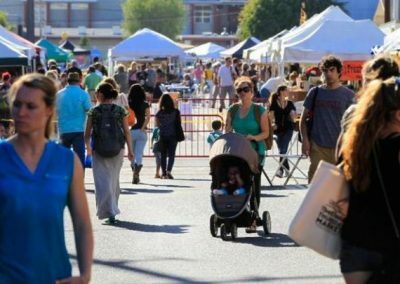 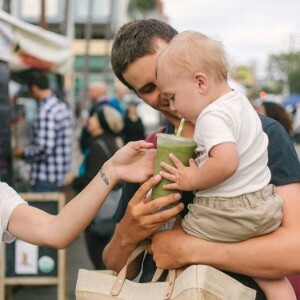 Starting at 3000 North Park Way, farmers and vendors fill more than 90 tents with their locally grown produce, artisan grocery items, prepared foods and hand-crafted goods every Thursday, rain-or-shine, at this family-friendly community event. 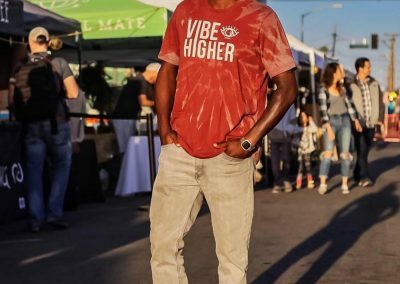 Eat dinner, catch some music, mingle with your neighbors. 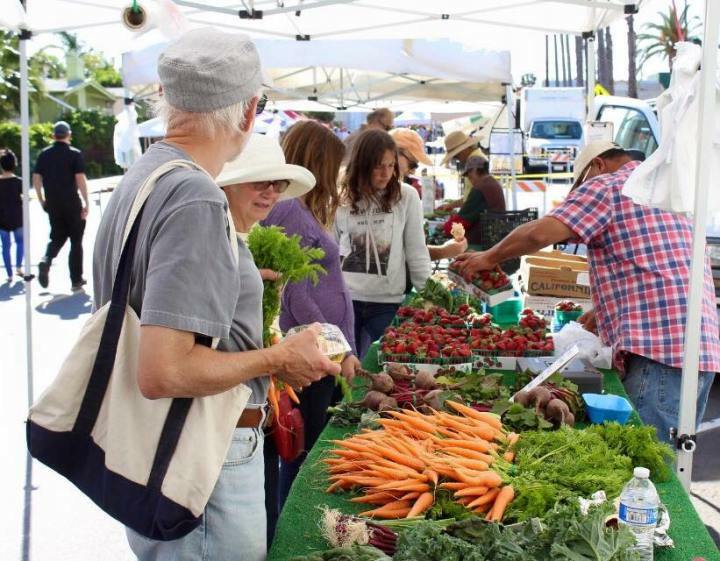 Spot your favorites like J R Organics Farm, Smit Farms, Valdivia Farm, Hopkins AG Almonds and Rodney Kawano Farm. 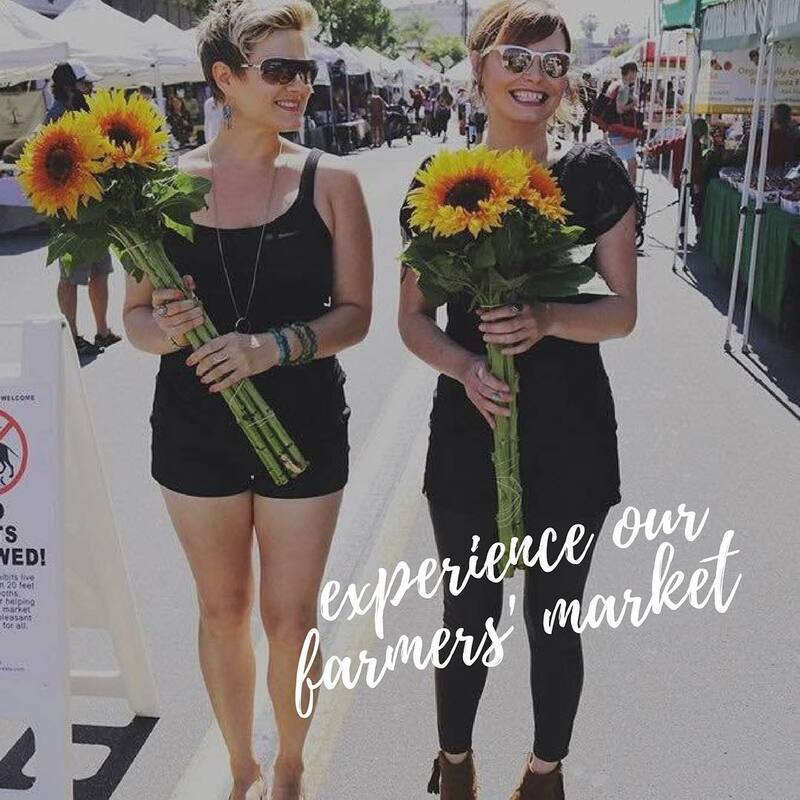 Choose local meat and eggs from from Da Le Ranch and Three Sons Farm. 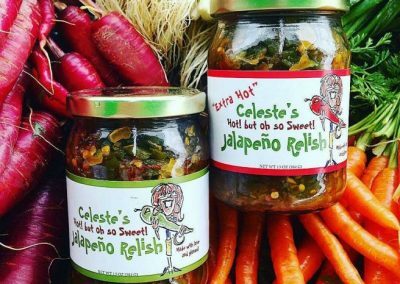 Find Bitchin’ Sauce, GreenFix Organic Smoothie, unique sauces from The Baby Clydesdale and Kitchens for Good, Witt Pickles, spices from Smij Spicery and baked goods from The Bread Bar and Maya’s cookies. 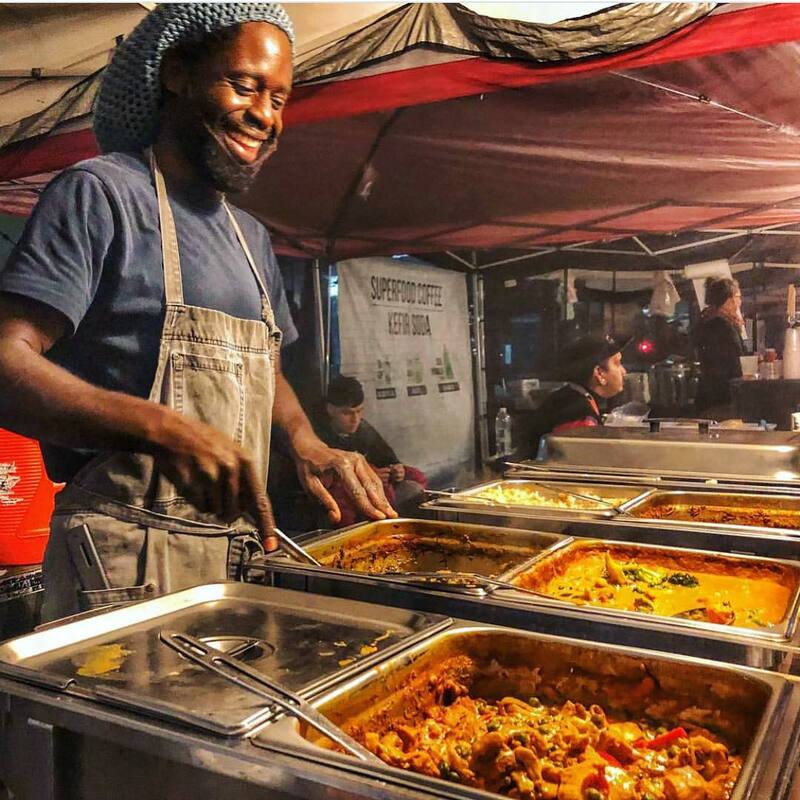 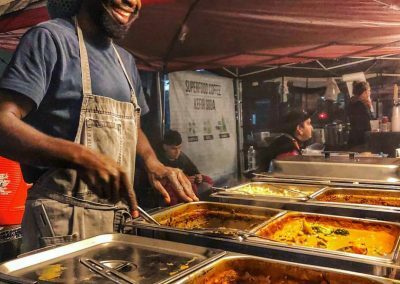 Enjoy North Park’s only Indian food at Masala Cottage, or dine on Gourmet Tamales, Sabor Piri Piri’s tastes of Africa or other innovative prepared foods. 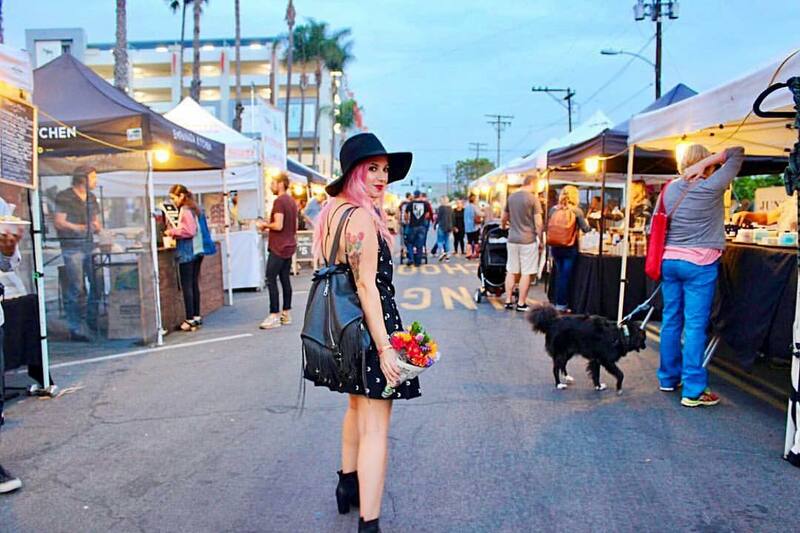 Visit rotating San Diego-made crafters and explore the SD Vintage Flea section. 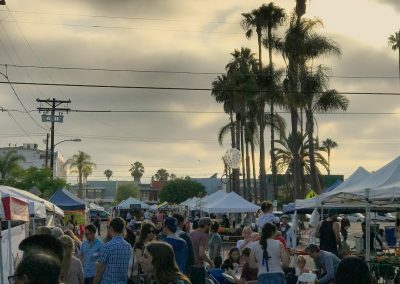 Each week features entertainment from local musicians, local artisans and opportunities to learn about North Park businesses. 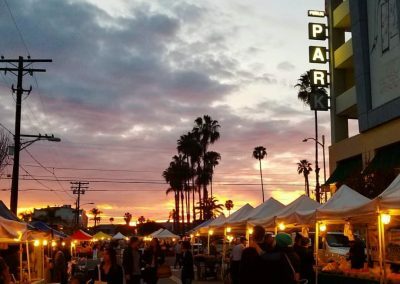 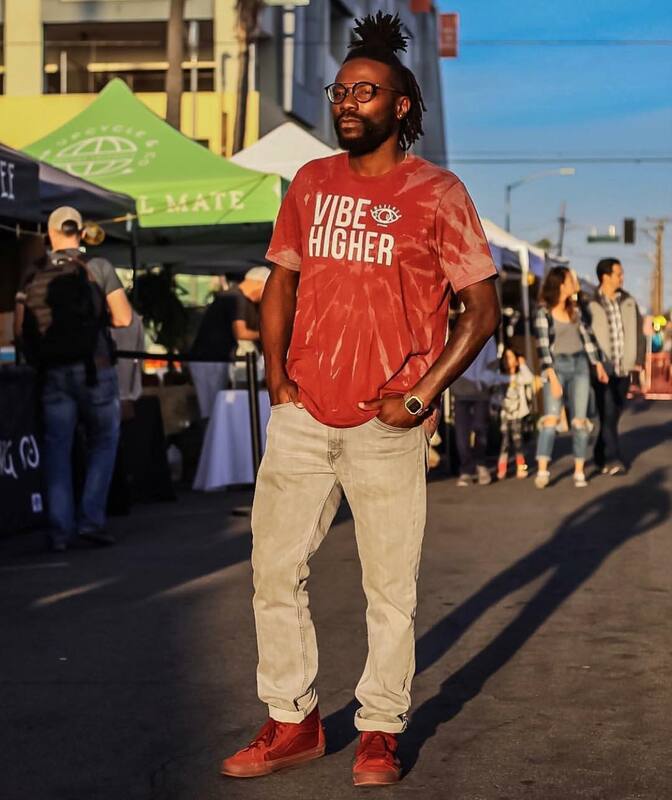 Stay tuned for rotating weekly programming to feature the North Park Market Lounge, DJs, live art, children’s activities, fitness activities and more. 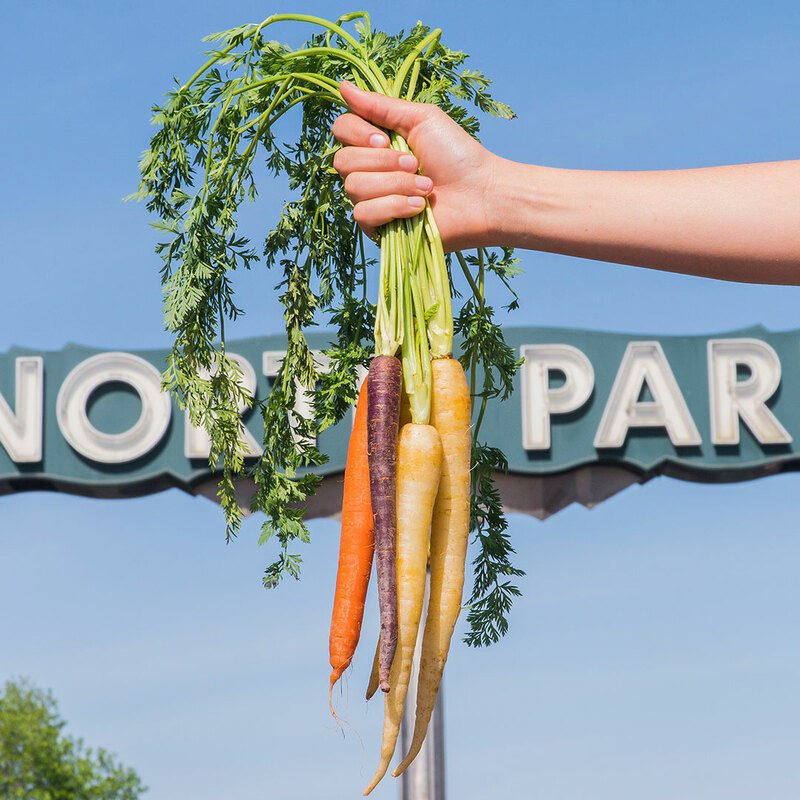 Grab easy parking thanks to the adjacent 340-space North Park Parking Garage. 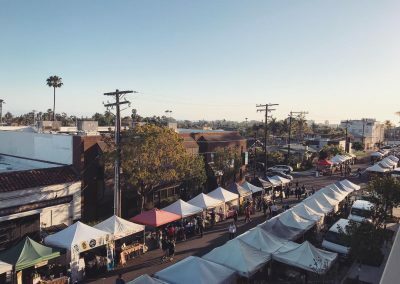 Soon the North Park Thursday Market will accept SNAP EBT cards for scrip that can be used for groceries throughout the market. 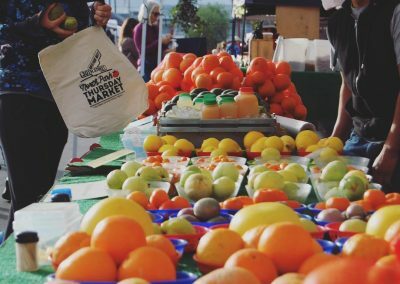 You will be able to double your SNAP EBT benefits every week (up to $10, limit one matching transaction per week per card) with Market Match for farm fresh fruits and vegetables. 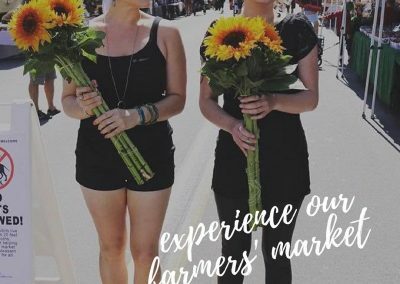 See the Welcome Booth for more information! 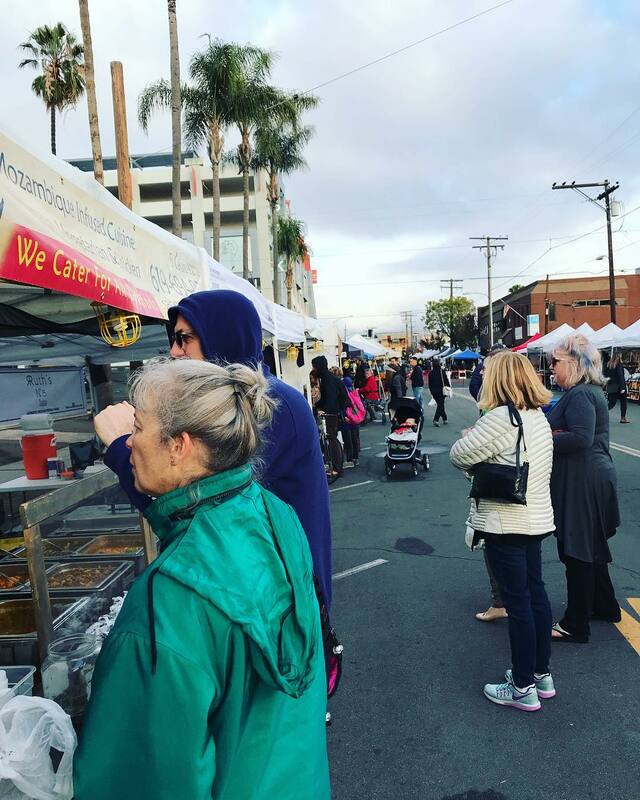 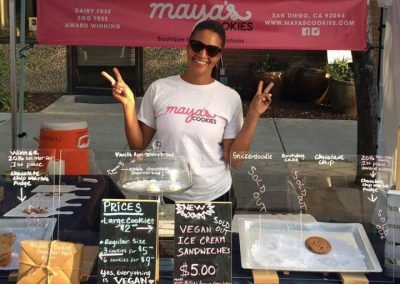 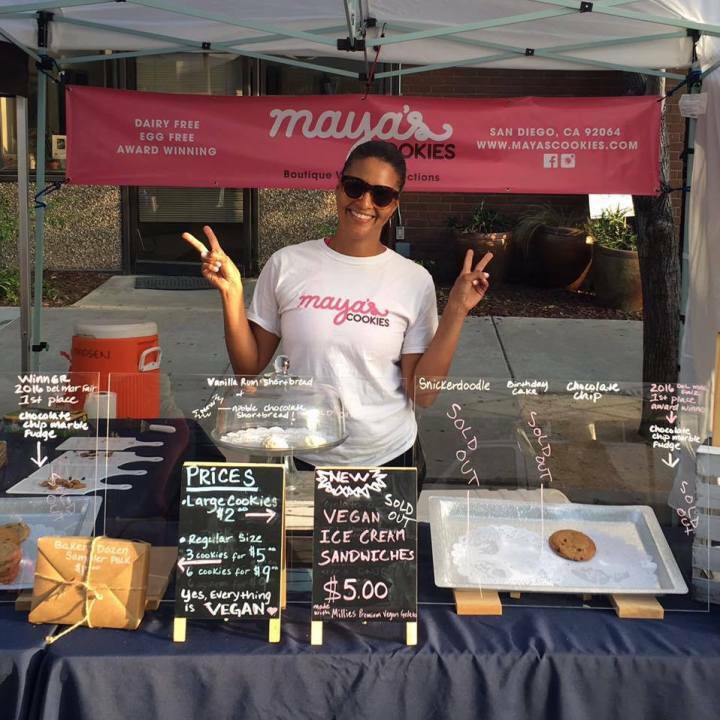 Per SD County health code requirements, pets should be kept 20 feet from food booths–difficult at our food-focused market–but of course we never restrict service animals. 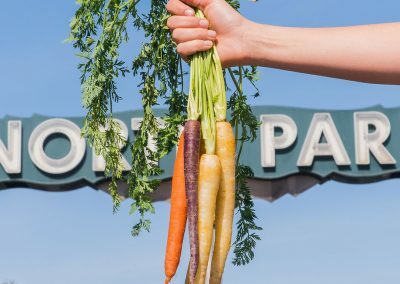 Invite your friends and neighbors, bring the kids and plan to fill up your grocery bags at the North Park Thursday Market every Thursday, rain-or-shine from 3pm to 7:30pm on North Park Way.